Today’s Tip (2018-08-03): Based on this Community Post. 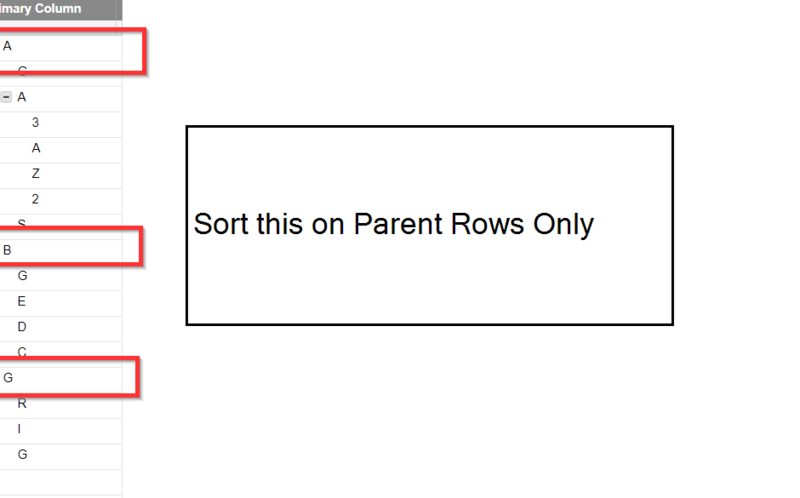 The user wanted to sort a hierarchy, but only on the Parent Row. I created a column named [Sort Order]. It checks if this is a Parent Row (COUNT(ANCESTORS()) = 0) and if it is, it returns the value of the [Primary Column] and if not, returns the ancestor count. Since Smartsheet sorts by each hierarchy level in turn, since all of the rows at a particular level EXCEPT the Parent, will not sort at all. Lots of ways to expand this, but knowing there is a solution is the start of that.